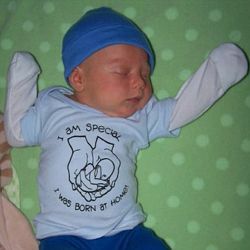 Welcome to the Gentle World of Midwife-Assisted Home Birth! Home birth is a naturally gentle experience, and licensed midwives who facilitate home birth are expert caregivers who are trained to make such natural birth an even gentler and more pleasant experience for mother and baby. 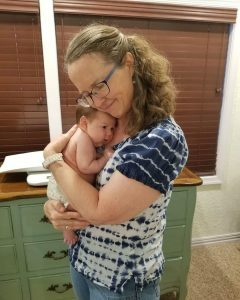 Betsy Robinett has been lovingly attending natural home births since 2005. Since she is based in a rural area, she has a smaller practice, which means that your pregnancy care will be relaxed and you will be given all the time you need for discussing any questions and health issues at your prenatal visits. You’re in for a treat if you’ve never experienced midwifery care! If you’re looking for a wonderful, natural alternative for your childbearing years, she offers her services in the North Central area of rural Texas, as well as in Abilene. Based in Comanche County, she serves approximately a 50-mile radius, primarily centered around the Stephenville and Brownwood areas. Counties she serves include: Bosque, Brown, Callahan, Coleman, Comanche, Eastland, Erath, Hamilton, Hood, Mills, Palo Pinto, Parker, Shackelford, Somervell, and Stephens. She has been serving the Abilene area since 2016 and offers prenatals once a week there. Not sure if home birth is for you? Ask for a free consultation, in which you can ask any questions you may have, determine whether you are a good home birth candidate, and also decide if you and she are a “good fit” as a home birth team. Betsy looks forward to meeting you, regardless of the birth experience you ultimately choose.